Posted by Jace Stolfo on Monday, March 22nd, 2010 at 3:34pm. 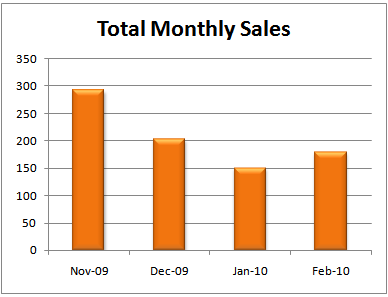 Last month there was 179 home sales in the Boise Idaho real estate market. This is up about 15% over last year. Compared to Ada County as whole (Boise, Meridian, Eagle, Kuna, & Star), sales were up 32%. The average home price in Boise Idaho was $181,919 and the median was $163,000. 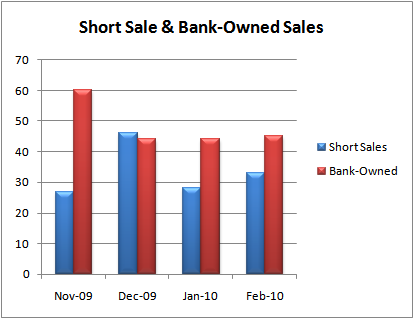 oise Idaho real estate foreclosures accounted for 43.6% of the sales (Boise short sales & Boise bank-owned properties). This is roughly level of what we've seen over the last 3 months but higher than the spring and summer when they accounted for 26%-33%. 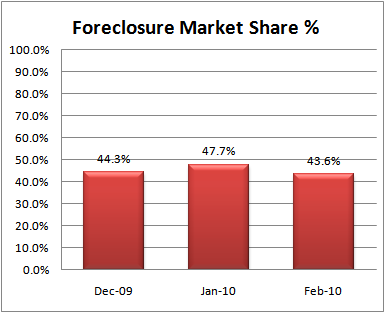 This trend of a higher foreclosure market share was the same last winter as there's a reduced number of non-foreclosures sales. 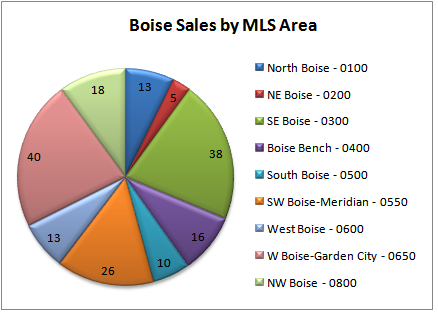 Below is the Boise Idaho real estate sales by MLS area. SE & W Boise had the most sales while NE Boise had the fewest (keep in mind there are far fewer homes for sale in some areas). The majority of homes selling are by purchasers obtaining conventional loans (41%). 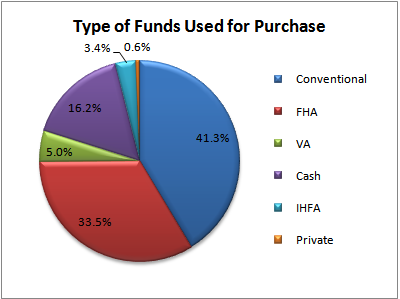 FHA buyers are second (33%) and cash buyers third (16%).